The contents of this article were written and researched by Badre Bouarich, a former Trader and Multi Asset Structurer (Forex, Interest Rates) at HSBC bank in London & an expert Financial Writer. Written Dec 13th 2014 & Updated frequently. All currency traders, speculators and investors know that in currency markets: The move beats the carry. Currencies can be extremely volatile at times, and it is of paramount importance to know when to buy and when to sell. During the last 6 months, the GBPUSD exchange rate went from around 1.72 to around 1.55. In other words, while £100,000 used to equal $172,000, it only equals $155,000 today. Hence, a smart investor who needed to buy Dollars and hedged his exposure would have saved around 10% on such trade. Nevertheless, hedging exposures and exchanging money in a smart manner requires knowledge and skill. As any other asset class or good, currencies prices follow the supply vs demand dynamic. As demand for a currency would increase, the currency would naturally appreciate. In this regard, several parameters can impact currency markets and cause volatility. Let’s explore and explain some of them in simple words. Let’s say country A’s central bank pays 10% on 1 year bonds while country B’s central bank only pays 2%. Keeping everything else equal, investors would be better off by exchanging their money from country B’s currency into country A’s currency, investing in Country A’s bonds (earning 10%), and repatriating the proceeds later into country B. In this case, they would benefit from the interest rate difference between the two countries in order to achieve superior gains. As market actors engage in this strategy, they increase the demand for Country A’s currency and increase the supply of country B’s currency. Consequently, Country A’s currency ends up appreciating against country B’s currency. Now many market actors will not even wait for there to actually be interest rate changes, and so they would trade on expectations. Basically, they would buy currency A as soon as they would start to expect country A’s interest rates to increase. They would seek to potentially gain on interest rates differentials and expected appreciation of Country A’s currency once the interest rates hike gets realized. Read our comprehensive guide about this aspect, the LIBOR rate. What would push a central bank to increase its interest rates? Basically, in times of high inflation (or expected high inflation), the central bank would seek to remove money supply from the economy. In order to do so, it will increase interest rates. As the central bank base interest rates increase, commercial banks would also increase their interest rates. Higher interest rates, would lead people to be more willing to deposit money at their bank (and earn interest on it), rather than borrow it. Consequently, money would flow from the economy into central banks through commercial banks. In this move, the money supply would decrease and inflation will get controlled. Hence, as investors see a high inflation, they would expect the central bank to increase interest rates and they would buy the country’s currency. In the opposite way, as market actors (Speculators, Investors, Hedgers), see a low inflation in a country, they would expect the central bank to reduce interest rates (in order to stimulate the economy) which would lead the country’s currency to depreciate. Hence, they would seek to sell that country’s currency. As an example and following this year’s improvements of the US economic indicators – including lower unemployment and higher inflation, expectations of an interest rates hike by the fed have been increasing and consequently the US Dollar has appreciated against almost all currencies (including the Euro and the Pound). However, interest rates are not the only parameters affecting the supply and demand for currencies. Many economists define a country’s current account as the sum of the balance of trade (exports minus imports), net income from abroad and net current transfers. Basically, in order to import a given good or service from Country A, one needs to buy Country A’s currency. Hence one would increase the demand for country A’s currency and lead to its appreciation. Oppositely, when we export goods or a service to Country A, it means that country A’s importers will need to buy our currency. Hence, they will increase the demand for our currency which would lead to an appreciation of our currency. So a country’s ability to minimize costs and export cost competitive products, boosts its trade balance (China). However, Inflation can also play a role here. Should inflation increase the cost of Chinese goods, then these goods would be less cost competitive and hence there would be less people willing to import such goods – therefore leading to a depreciation of the Chinese currency (CNH). Obviously this is a kind of self regulating mechanism as the depreciation of the Chinese Currency would end up making Chinese good more cost competitive and attractive again. The same scheme will happen over and over again. Currencies would appreciate or depreciate based on supply and demand dynamics. As an example, let’s say Indian citizens living in UK send monthly remittances back home. In the process, they will sell British Pound and buy Indian Rupee. Consequently, they would boost demand for Indian Rupee and contribute towards India’s net income from abroad surplus and Indian Rupee’s appreciation. Finally when the United States makes a $1 billion donation to country A without expecting anything in return, its current transfers account goes negative leading to a potential depreciation of the US Dollars against Country A’s currency. To sum up, as a country’s economy becomes cost efficient, low inflationary and open for business, it naturally attracts investments and gets to export goods. As a consequence, demand for its currency increases leading to its appreciation. As a country’s debt increases, international market actors can get to worry about the country’s ability to finance and pay its debt. Indeed governments could get tempted by using shortcut mechanisms in order to pay for the debt. Among these mechanisms, we can state inflation and the issuance of underpriced securities. By generating inflation, a country could indeed decrease the real value of its debt. Let’s say you lend me $100 today and let’s say that this $100 could enable me to pay for an entire dinner. After creating an inflationary environment, the same $100 might just be enough to pay for a soup. Hence, you would have paid me a entire dinner and I would have paid you back a soup – guess who wins in the deal? Hence, inflation would lead the country’s lenders and securities holders to lose money. Government could also increase the supply of securities sold to foreigners (and borrow) in order to finance their current debt. Hence, they would issue more securities and price them at a discount in order to maximize demand for it. By doing so, they would lead the current securities’ prices to decrease and hence all current securities holders would end up losing money. Finally, a country could just default on its obligations and not repay its debt. Obviously lenders (both nationals and foreigners) would get massively hurt in such scenario. So a country’s economic situation and solvency status has a great impact on its currency. Should investors get to worry about a country’s ability to honor its debts in a legitimate manner, they would just sell its securities along to its currency. This would lead the country’s currency to depreciate and it could even accelerate the country’s economic downfall. A surplus or deficit in trade can make a substaintial difference on the currency exchange rates. View our detailed guide on the top here: Trade Account – a key economic fundamental. Another consideration to remember is specifically the price of oil and its impact on FX. Having given you some tools to understand currency markets’ fundamental drivers, you need to keep in mind that future expectations are what drive market volatility. When we look at a GBPUSD rate of 1.55 – every past information and fact related to economy, inflation, growth, solvency is already discounted in the exchange rate. Hence, what will make the GPBUSD rate fluctuate in the future are the markets’ future expectations of these parameters (along to sudden unexpected news). Should market actors get to expect an interest rate increase in the US, the US dollar will get to appreciate and the GBPUSD rate will go down ( 1 £ would buy less $). In the same manner, should the US Federal Government Debt keep on increasing and should markets worry about the extremely high US Debt / GDP ratio, then the US Dollar would depreciate and the GBPUSD rate would go up. Now when exchanging money and making decisions you can whether align with the general consensus, or take a view of your own. By aligning with the general consensus you would increase your probability to gain a small amount of money. By betting on your own market view and expectation, the probability of gaining would decrease – though the potential gain would be higher. 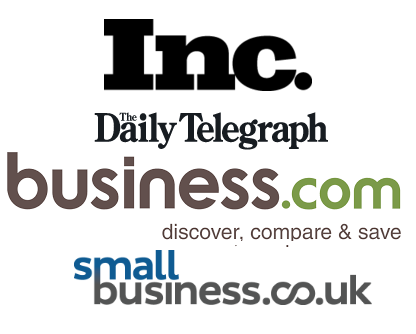 Looking to read more information relating to the impact of events on economy? Read this piece about the relation between terror acts and the economy. Do you want to read some historical analysis of currencies? view our demise of the pound series – GBPUSD Rate Demise In the Last 20 Years , and How The Sterling Dropped Against The Euro. Minimizing fees and getting tight quotes on currency exchanges is very important and can enable to save money. Indeed by opting for the right money transfer and exchange house (best FX companies are rated on our homepage), one can save up to 5% on currency transfer and exchange operations. In other words, if you were to buy a flat costing £200,000, you could save up to £10,000 by avoiding banks and dealing through the right money transfer company. Learn how commercial money transfer companies operate here. Here are some recommendations we make about buying and selling currencies. These recommendations are based on your future expectations of a country’s actions. Obviously investment horizons can differ and strategies will not yield similarly within the same time frame. Sell a country’s currency if its solvency profile seems worsening (Some emerging countries during the crisis). Stay in tune with the Economic Calendar to learn when each important economic announcement is made. More importantly, try to understand market actors’ expectations of currency movements and act accordingly. 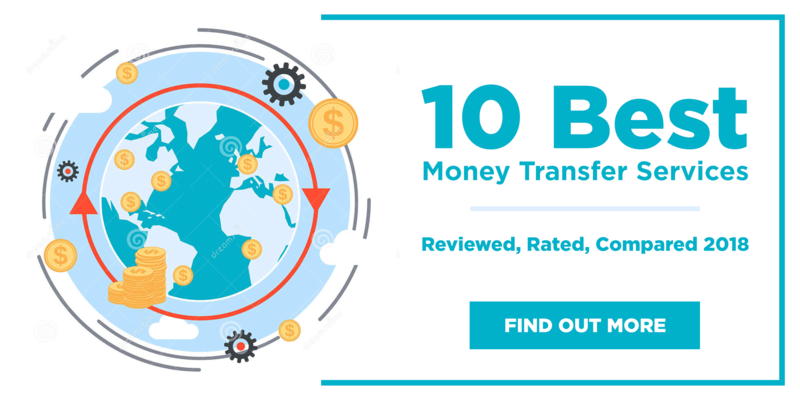 At MoneyTransferComparison.com, we will be providing continuous insight and guidance about currency movements and expectations, though our best advice is to speak to the guys in one of our top rated firms like MoneyCorp. They will happily service you by suggesting the right move to maximize your money. Foreign Currency is Our Expertise. If you want to know even more international money transfers then you should know our expert staff has written more than 20 articles on the subject, readily available for your pleasure.